WBOS Youtheatre is a talented and highly regarded company of 70 young people ranging from 10-19 years of age. Formed in 1987, their extremely talented ‘Award Winning’ Youtheatre perform a full musical show annually in November. 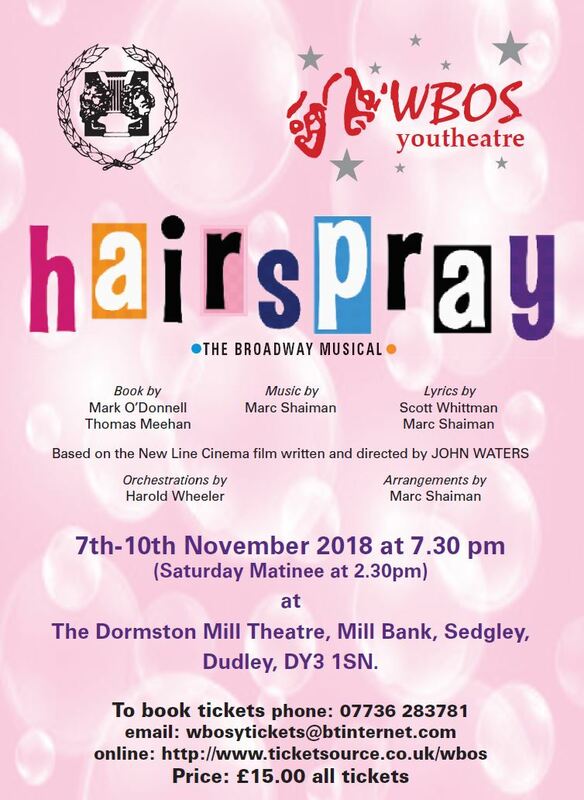 In 2018, WBOS bring ‘Hairspray’ to the stage!